The shoulders are one of the most mobile joints in the body and, therefore, a common area of stiffness & discomfort. The health of our shoulders will directly influence the function of the back, arms and neck. Energetically, the shoulders are our armour – dictating our capacity to respond to the events life presents us with. Maybe it’s time to give our armour a bit of TLC. If you want to develop more awareness of your body or have trouble with yoga poses like plank and chaturanga, this workshop is for you. Charlotte Messervy and Mike Scott are a couple focused on education and empowerment. 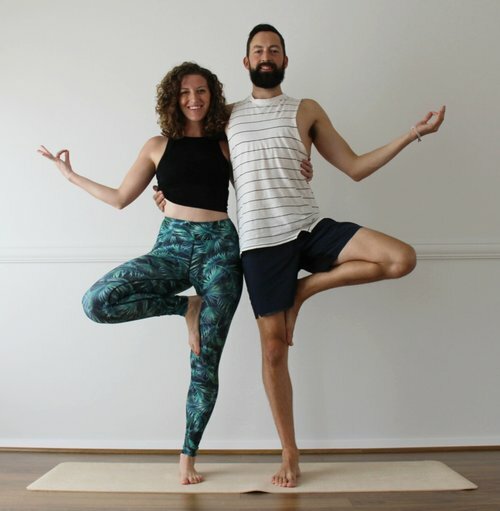 Charlotte is a yoga teacher and corporate trainer while Mike is a physiotherapist and a yoga teacher. Together, they hope to demystify information about the body and movement, allowing people to feel more confident and comfortable in their own skin. In their workshops, they zero in on troublesome or misunderstood areas of the body, exploring them in depth. In these sessions, they consolidate and share information about anatomy (that anyone can understand), the causes of discomfort or disfunction, and provide simple strategies for further development in the area of focus. These sessions are inclusive, informative, and practical. If you have any requests for future workshops, please let us know!